I was caught digging in Mom’s garden. I also chewed the hose that she waters the garden with in half. She can’t water the garden until she buys a new hose. 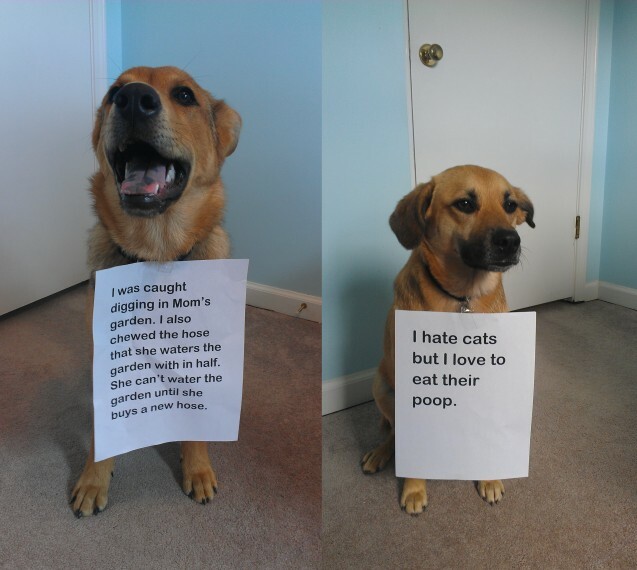 I hate cats but I love to eat their poop.